Mocking Racist Phone Calls Florida's black Democratic governor candidate appears to come from a white racist podcast that has also found recognition for seditious robocalls in Iowa and California. In the recorded calls, someone who falsely claims to be speaks, Andrew Gillum speaks in a racist, old Minstrel dialect, while asking voters for their support. The calls that began on Friday, according to the Gillum campaign, are said to have been paid for by The Road to Power, a video podcast from Idaho. 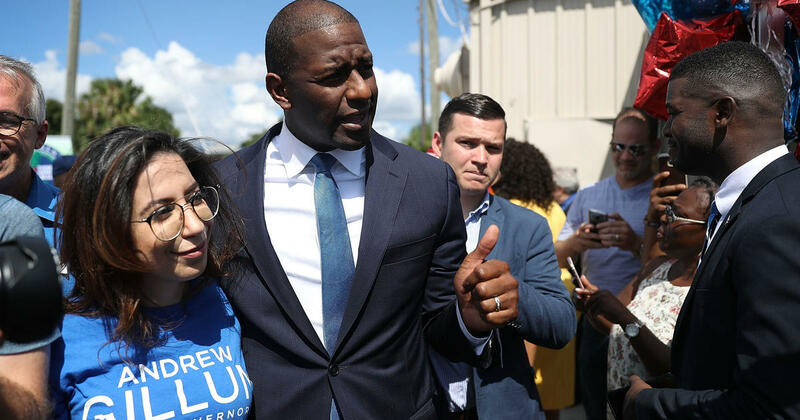 1; and could only come from someone who tries to incite hatred and seeks advertising," Gillum's campaign spokesman Geoff Burgan said in a statement. Burgan said it was unclear how widespread the phone calls had been, but he only heard reports from them in Tallahassee, where Gillum is mayor. Gillum's Republican Opponent, U.S. Pat. Rep. Ron DeSantis is not connected to the podcast behind the calls. His election spokesman Stephen Lawson called her "absolutely horrible and disgusting." "And hopefully, the one behind it will have to answer for this despicable act," Lawson said in a statement. The Florida governors' race was racially charged even before the robocalls. In a Fox News appearance following the Tuesday's primaries, DeSantis Gillum – who wants to become Florida's first black governor – called for an "articulate" nominee, but said, "The last thing we have to do is thwart this by we're trying to create a socialist agenda with huge tax hikes and the bankruptcy of that state. "DeSantis campaign later said the congressman did not refer to Gillum's policy, not to himself personally. In Iowa, on Tuesday – two days after the funeral of Mollie Tibbetts a student from the University of Iowa, who told authorities to have been kidnapped and killed by a suspected man, started to be illegal in the US. In California, The Road to Power was blamed in July for anti-Semitic robocalls aimed at Democratic US Representative Mark DeSaulnier. DeSaulnier's Republican opponent John Fitzgerald, a Holocaust denier, wrote a post on his campaign website on July 11, condemning the phone calls. He said they came from "a despicable, hateful person / organization that demoted ethnic groups openly in their podcasts and on their website." The podcast was linked to a man who, according to police, was in Idaho, Sandpoint was responsible for distributing racist CDs in a high school parking lot in December. This man, who was identified by the police as Scott D. Rhodes, denied distributing the CDs when the officials approached him, according to The Spokesman Review. Rhodes is also known by the family name Platek. The Associated Press has left a voicemail on Rhodes' list in Sandpoint Saturday, but the call has not been returned.